College is expensive. For a single mother with four sons, three of whom are in college, the costs can be nightmare-inducing. Why not ask friends, family, and the community to help out while everyone has a good time partying? San Diego Unified School Board President Marne Foster has discovered how much trouble a parent and public official can get into while trying to fundraise for their children. She’s also discovering how much more trouble one can get into trying to repair the damage. The story focuses on Foster’s seeking and receiving donations from school district officials, employees, and vendors, raising the issue of improper influence or coercion by Foster. Faced with a California state deadline to substantiate the facts and decisions about the raffle associated with the “brothers2college benefit concert,” Foster issued a one-page statement and an accounting of revenue and expenses associated with the event. She has pledged to return gifts from individuals and groups associated with the school district, and to donate anonymous gifts received online to an independent charity. Improper influence by a public official is an important aspect to the story, but those familiar with the nonprofit world will see a variety of other serious ethical and potentially legal issues illustrated here. Foster represented the event as charitable and deductible, even though she organized it to support two particular individuals. The IRS does not allow gifts to benefit an individual to be deductible. Running the event through a local 501(c)(3), the C. Anthony Cole Repertory Dance Theatre, doesn’t make the gifts any more deductible. The involvement of the Cole Theatre also calls into question the knowledge and judgment of the nonprofit’s leaders. C. Anthony Cole is quoted in an email as saying, “The paperwork for this event is in order, the event raised approximately $4,000, and it was a wonderful event that I was proud to be a part of.” A search on the GuideStar and NCCS web sites shows that the charity was ruled tax-exempt in 2009, but is only required to file a Form 990-N “postcard return,” indicating that its total revenues are under $50,000 a year and it has less than $250,000 in assets. Three additional potential problem areas that affect not only Foster but many charities—and sometimes non-charities—are raffles, online donations, and gifts of art. Foster apparently conducted a raffle as part of the fundraiser for her sons’ education. Charitable raffles are regulated at the federal, state, and local levels in the U.S. Even when legally operated, raffle ticket purchases are never deductible as charitable gifts. 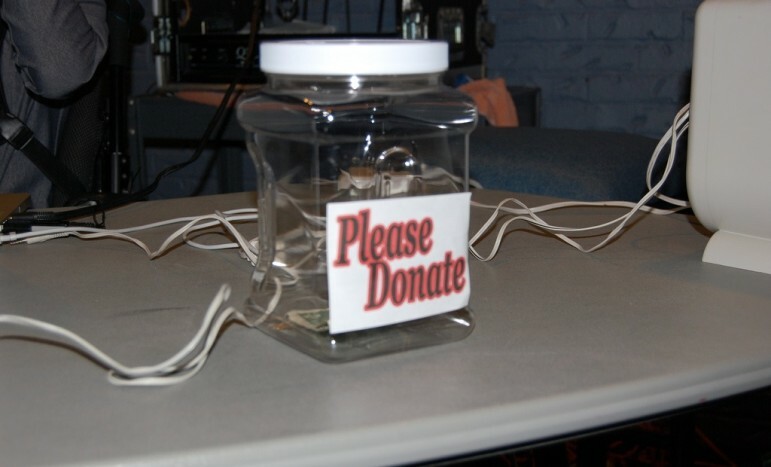 Online donations are increasingly popular, but they are also subject to many of the same regulations that govern direct mail and telephone fundraising. Foster’s accounting report indicates she used a GoFundMe page, which means the money raised online may not have been donated to charity and not deductible by those who gave. The financial statement released by Foster and the event organizer points to at least one other potential problem area: the “$100 (est. value)” of a painting donated for the raffle and listed as an in-kind contribution to the event. The financial report shows the event having raised about $3,200 in cash plus $500 in in-kind support. Expenses totaled just under $2,400. Cole is technically correct in saying that the event “raised approximately $4,000,” but the net proceeds appear to have been closer to $1,300, including the in-kind support. Special events are an expensive way to raise funds; costs of the “brothers2college benefit concert” consumed almost two-thirds of the gross revenue.